ArcelorMittal announced the development of a new pre-lacquered steel which eliminates BPA in cups and cans, giving consumers peace of mind. Our laser welded blanks give engineers the chance to design lightweight parts which ensure the right steel in the right place for safety and performance. Solano® Nature shines in world-leading liquefied natural gas (LNG) facility in Siberia. 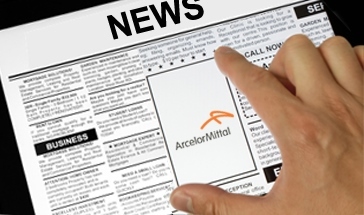 ArcelorMittal Sestao specialises in boron steels for agriculture and automotive. Generating cleaner energy from water with GE and ArcelorMittal. Aluzinc® Florelis shines in the F4 car park at Basel-Mulhouse-Freiburg airport.